The fourth Scholarship Disbursement For Meritorious Students under the aegis of Prerana, Infosys, Mangalore, Vidyaposhak, Dharwad, Dhrithi Foundation, Mangaluru, Yakshagana Kalaranga, Udupi and Bevinje Sridhara Kakkillaya Foundation, Kasaragod was held on 13th September 2009 at Infosys Campus, Kottara, Mangalore. 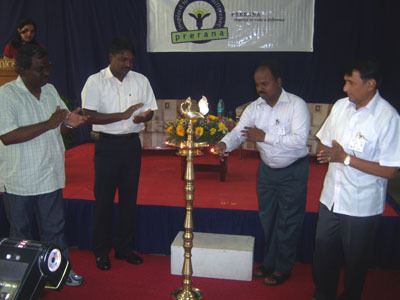 Dr. Subramanyeshwar Rao, IPS, Hon’ble Superintendent of Police, Dakshina Kannada, was the Chief Guest on the occasion. 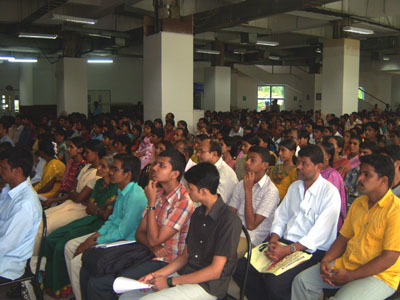 A total of 382 students, including those pursuing professional courses, from Udupi, Dakshina Kannada and Kasaragod districts, were supported to the tune of Rs. 11,28,000 of which Rs. 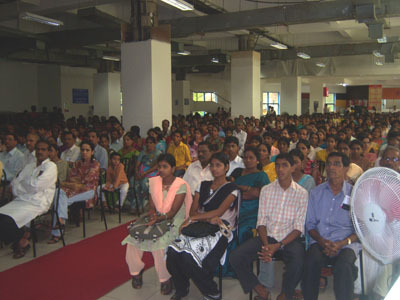 10,52,500 was provided by Prerana, Infosys, Mangalore and the rest by other donors and Vidyaposhak, Dharwad. This is the fourth year that Prerana, Vidya Poshak and Dhrithi Foundation are extending support to the needy meritorious students of Dakshina Kannada district. In addition to the financial support, Vidyaposhak and Dhrithi Foundation also provide books and soft skills training for the beneficiary students. 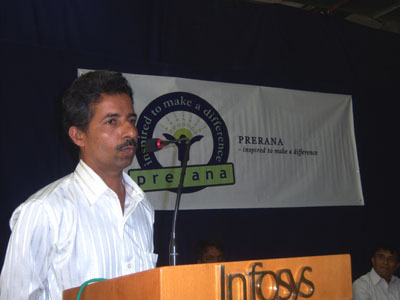 Raviraj Belma of Prerana, Infosys, welcomed the guests and everyone. 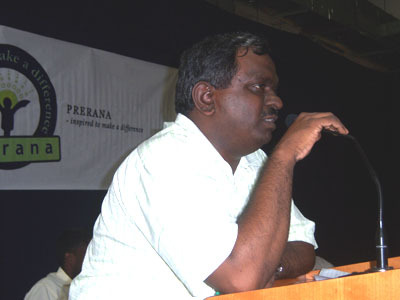 Sri Bhaskar Chicnanjundappa of Prerana outlined the activities of Prerana and asked the students to make the best use of the support provided. 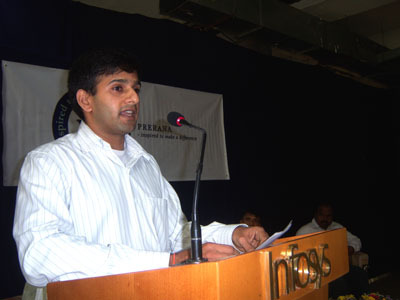 Sri Narasimha Moorthy from Vidya Poshak, Dharwad spoke about the ideals that created Vidyaposhak 9 years ago and how the organisation has grown from a group of enthusiastic and deidcated teachers supporting a handful of students to supporting thousands of students with support worth of more than 6 crores. He also administered the oath to the beneficiary students. 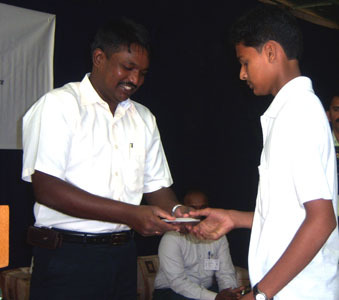 Dr. Srinivas Kakkilaya, Secretary, Dhrithi Foundation, thanked Prearana, Mangalore for their magnanimous gesture of supporting most of the students and urged the students to make best efforts to realise their dreams. A total of 382 students, including those pursuing professional courses, from Udupi, Dakshina Kannada and Kasaragod districts, were supported to the tune of Rs. 11,28,000 of which Rs. 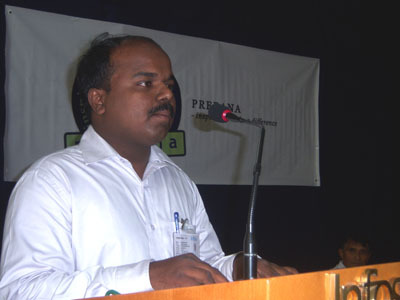 10,52,500 was provided by Prerana, Infosys, Mangalore. The Chief Guest, Dr. A. Subrahmanyeshwar Rao, IPS, handed over the support to some of the beneficiaries. Shashidhara, student of Engineering at Puttur and a beneficiary of the programme for the past 3 years, spoke on behalf of the students. He urged the students to get inspired by the support provided by Prerana, Dhrithi Foundation and Vidyaposhak and to work hard to achieve their goals. Speaking on the occasion, the Chief Guest Dr. A. Subrahmanyeshwar Rao, IPS, Superintendent of Police, Dakshina Kannada, lauded the efforts of Prerana and other organisations in reaching out to the needy meritorious students. He advised the students to make their best efforts to achieve what they aspire and said that no dream is too big and hard work always brings success. 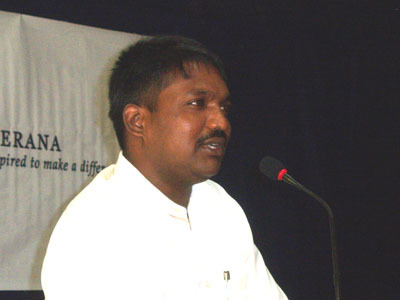 Sri Murali Kadekar of Yakshagana Kalaranga, Udupi proposed a vote of thanks. 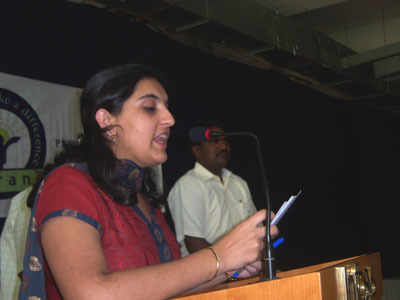 Ms. Supreetha of Prearana conducted the programme. Following the scholarship disbursement process, a session on soft skills was conducted for the students pursuing professional degree. For the students who are studying in other disciplines a session on structured approach to follow for achieving ones goal was conducted. Both these session were taken by the volunteers from Infosys.